Daniel J. Ogden is the managing attorney at Ogden Law Firm, PC. His practice consists of business, real estate, and estate planning. He has a wide range of transactional experience, consisting of large and complex real estate purchase agreements to business formation, acquisition, and termination. Mr. Ogden is an experienced trust and estate planning attorney, helping clients form and establish their succession plans for the next generation. When litigation is necessary, he also helps clients assert their rights in probate and trust court proceedings during the administration. A representative case is Meyer et al. v. Stoscher, CA 6th District Court of Appeal, Case Number H040510. In that case, Mr. Ogden successfully defended and enforced on appeal a substantial judgment awarded in favor of his clients as a result of the trustee's misconduct. Prior to joining the Firm, Mr. Ogden obtained his B.A. in Economics from the University of Colorado at Boulder. He then Graduated with Distinction from the University of the Pacific McGeorge School of Law in 2010. He excelled in his law school academics and was admitted to the Roger J. Traynor Honor Society, a Scholastic Honor Organization. Mr. Ogden achieved the Academics Dean's List all through law school and Graduated with Distinction, finishing in the top third of his class. He also clerked at the United States Attorney's Office in Sacramento, CA. Mr. Ogden is admitted to practice before all the courts of the State of California and the United States District Court for the Eastern District of California. 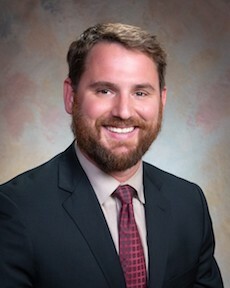 He is also a member of the Stanislaus County Bar Association, the Real Property Law Section of the California of the State Bar of California, and the Stanislaus County Estate Planning Council. Attorney Daniel Ogden and his staff were such a help during my estate/will planning. I contacted a couple of attorneys and simply did not feel comfortable using them. Not so with Mr. Ogden. He was thorough and knowledgeable, making us feel very comfortable and secure in the decisions we made regarding our estate planning. I highly recommend his practice! Ingrid B. If there was ever an attorney or legal office to trust, this is it! Don't bother going around town and getting the runaround from other people who will only partially represent you or overcharge for partial services. Daniel Ogden and his amazing staff are BY FAR the most competent and friendliest people to work with in this area. Jeremy E.
Daniel Ogden is a first class professional who listens acutely and makes great recommendations. Updating our estate documents was executed with skill and expediency. He is a credit to our community and to his profession. Hugh T.